It was the summer of 1970 when a little boy was born to a young couple in Atlanta, Georgia. His name was chosen to honor another young boy who gave his life for our country. On that day, as one boy came into the world to parents filled with hopes and dreams for his life, another young boy’s parents had already laid their little boy to rest as a Vietnam Veteran…burying their own hopes and dreams. 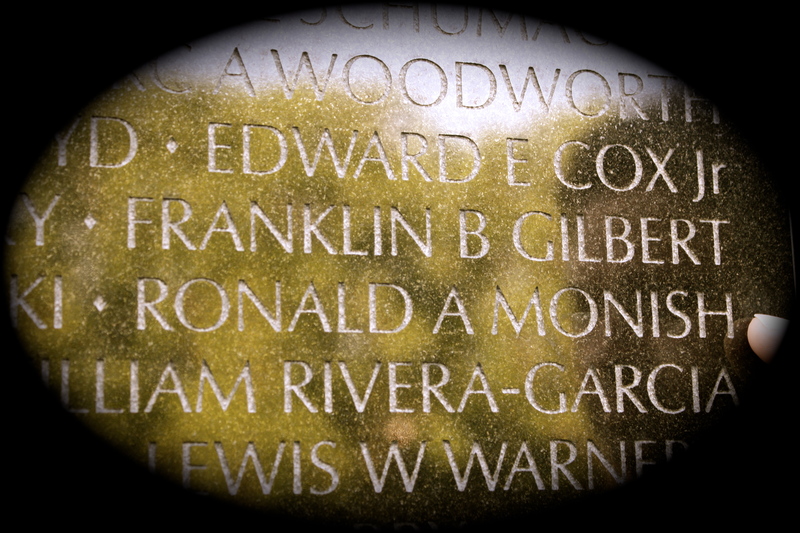 I captured his reflection when he found his uncle’s name. Neither ever got to meet the other, yet that little boy grew to become one of the most patriotic men I know. His love for our country and his passion for our history make me proud to stand by his side as we instill the same passion and love for the United States of America in our own children and continue to honor the boy he was named after. In honoring his name, we honor all those who chose to fight for our freedom. In honoring his name, we honor all those who suited up before him and entered the battlefield. In honoring his name, we honor all those who walked before him, those who protect us today, and those who will choose to follow in their footsteps. Each and every one of these young men and women may not share the same name on their birth certificate or their dog tags, but they do share a name we should never fail to honor…Soldier. 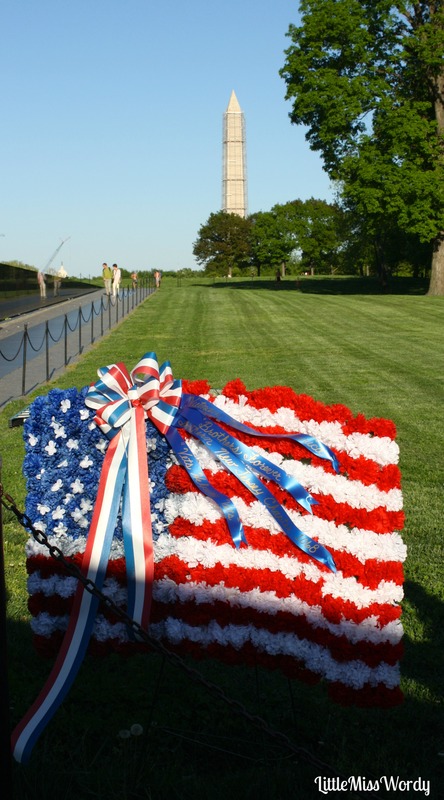 May you each enjoy your Memorial Day and thank a soldier this weekend. A very powerful tribute to all who serve and who have served. Thank you for remembering. What a beautiful tribute and lovely that you gave him that name. Much love and respect to all who serve and have given their lives for this country. I came over from the DWP party. My party post made easy, lol >>> http://rxfitnesslady.com/diy-baby-pharmacy-a-medication-storage-tip/#comment-5765 Nice to connect! You have pulled together honor and sacrifice so well… A wonderful reminder for us who understand. Thank you. Indeed an excellent post and reminder. You are too kind. I was thinking of a post with as many links as I can to other stories. I’m not sure how I will…. but I would like to include yours if I do this. This was a most excellent post. Thank you. Thank you. Enjoy your weekend.